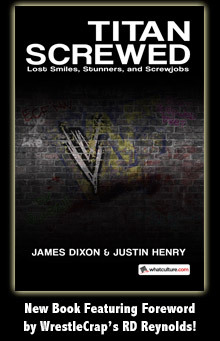 WrestleCrap – The Very Worst of Pro Wrestling! You thought The Viking Experience was a bad name? Just wait until you see what they’re called now. It’s Greek Week for Ivar and Erik in a brand-new Headlie! The Crush Intro Vignettes are Chronicled in a NEW Induction! It’s a turf war in our *new induction*! Another Wrestlemania is in the books. Hopefully you didn’t try to take the train to MetLife Stadium. Hang on tight for an all new Headlie! Who wants a dream match when you can have one of the worst main events in WrestleMania history instead? Hogan vs. Flair is out – Hogan vs. SID is in! After 282 episodes, the world’s longest-running Kurt Angle podcast finally taps out. Listen to the final Moveset Radio by clicking on Kurt’s handsome face. A WWE legend is now with All Elite Wrestling! Feel the excitement in an all-new Headlie! The Miss Wrestlemania Battle Royal – where Santino was a woman, Kid Rock was a super-stud, and your favorite classic Diva just got eliminated, FYI. Have you ever wondered what happens when an angle gets dropped? They go into Titan Towers and they never come out. Gird yourselves for a grisly Headlies! The worst match in NXT history? It just might be! Has Kofi Kingston bitten off more than he can chew? The odds may be stacked against him at Wrestlemania. Read all about his sticky situation in Headlies! Battle of the Breakfast Cereal – now inducted! WWE is really going to start focusing on the Samoan part of Samoa Joe. Maybe someone should tell them he was born in California. Read all bout it in Headlies! Andre vs. Junkyard Dog in a match so horrible even the French were booing The Giant! Worst match of the 1980s? You make the call! Blade Braxton joins RD Reynolds LIVE at WrestleCrap HQ for the first time in eight years! Pro wrestling news galore, and the return of some of your favorite characters! RD and Blade go back in time to review the first ever WrestleCrap Radio! Exclusively for our Patreon supporters! Get to clickin’ and join the fun! Ronda Rousey is here to chew bubblegum and ruin everything. Find out what happens when she runs out of bubblegum in this week’s Headlie! The Looooove Boat! Soon we’ll be making another (title) run! A jealous Kevin Nash tries to bust him Goldberg’s honeymoon. Which set of partners will survive? Find out in a new induction! 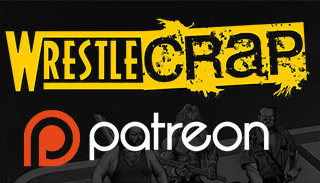 Get EXCLUSIVE WrestleCrap Goodies with Patreon! Induction: The Raw Tenth Anniversary – WWE’s Attendance Awards, live from Times Square! 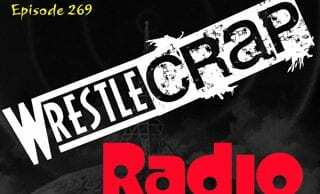 WrestleCrap Radio 269: Royal Rumble Preview and More!! 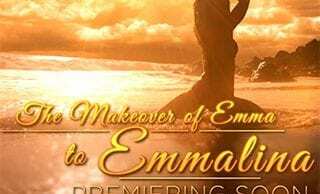 INDUCTION: Emmalina – She’ll Be Here Next Week. Or Maybe Never. It Came From YouTube: President McMahon! Someone Bought This: Everybody has a straight edge price when CM DiBiase comes to town! Someone Bought This: Throw the WWF Bangers dolls and hear them yell in terror! INDUCTION: The Ding Dongs – Up Yours, JR! Them’s Is Real Funny! It Came From YouTube: Abby finds love… and refreshment in Japan. It Came from YouTube: Lose Weight with a TNA Wrestling App! 2017 Gooker Award Voting! Pick the Very Worst of the Very Worst! It Came From YouTube: David Flair’s TitanTron- now with 100% more Virgil! Someone Bought This: It’s not just stupid, but dangerous too!